Lunch today at Tusca, the restaurant in the Hyatt. As opposed to the hilton across the street, this place knows how to do things right. 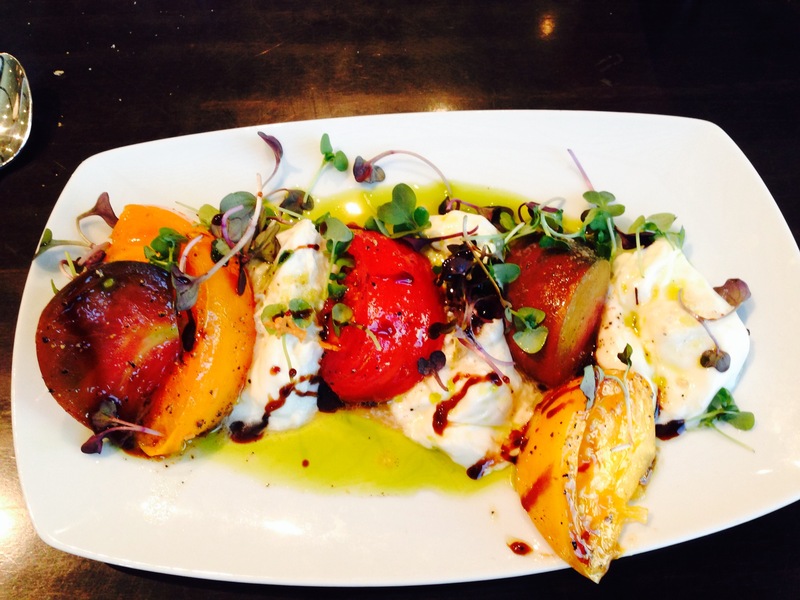 I had the above Caprese salad, made with heirloom tomatoes and burrata cheese. Micky instantly stole the Parmesan crisps before I could get a photo, just believe me they were there. It was a great dish and well worth the $8. Gail and Linda split a huge chopped salad. Mike just nibbled. Service was fast and first rate, prices relatively reasonable. We were all happy campers.